The tall, tapered column of silvered glass is even more dazzling in the dark. 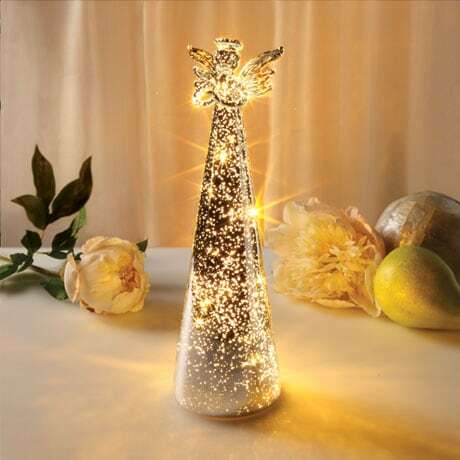 Flip the switch on the bottom and the angel lights up with tiny LED lights. 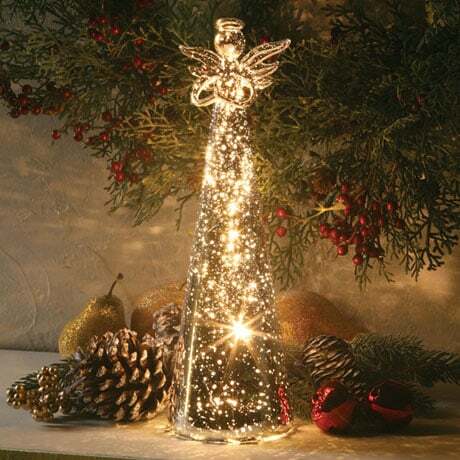 Festive and beautiful, especially in multiples, she needs no wires or plugs, so you can stand her anywhere indoors. Takes 2 AA batteries (not included). About 3" diameter, 11" high.